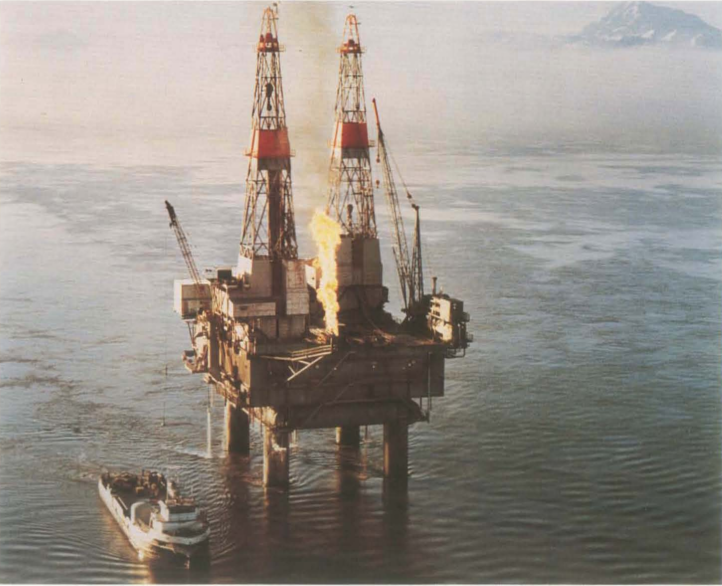 In the 1960s, Crowley supported the upstream energy industry by rafting tugboats together in Cook Inlet, Alaska, providing the necessary horsepower to position and set oil platforms. Without the high-horsepower tugs of today, Crowley proposed this effective solution to deal with the huge tidal variations and 12-knot currents in the inlet. The company also provided supply and crew boat services (pictured here). In 2015, Crowley broke ground on a $48.5-million construction project for a new pier at its Isla Grande Terminal in San Juan, Puerto Rico. 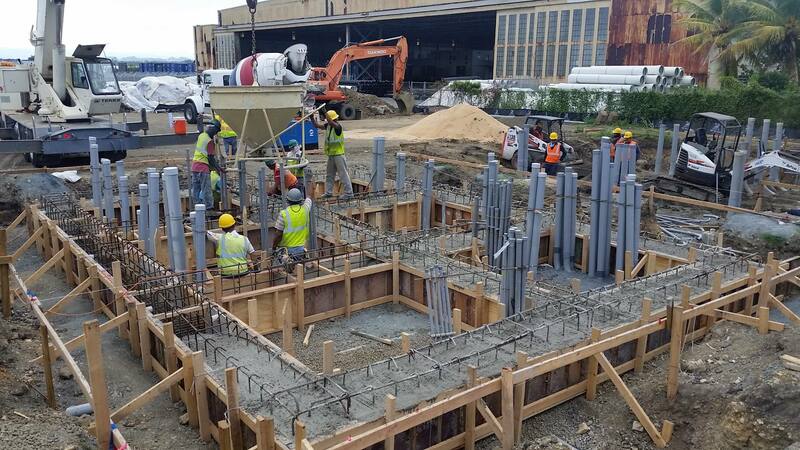 The project included the development of a new 900-foot-long, 114-foot-wide concrete pier and all associated dredging needed to accommodate Crowley’s two forthcoming liquefied natural gas (LNG)-powered, Commitment Class ships. In Nov. 2010, Crowley christened the first of three 750-class articulated tug barges (ATBs), the Legacy/750-1. The three vessels were part of the company’s larger newbuild program to construct a fleet of 17 ATBs ranging in size from 155,000 – 330,000 barrels of capacity. Critics questioned whether ATBs could stand up to winter sea swells on the West Coast, but we proved they could. 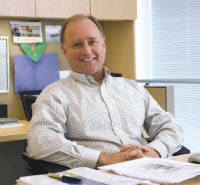 The newbuilds, which operate in the U.S. coastwise trades, revolutionized the company’s petroleum transportation fleet and blazed a path for other petroleum transportation companies to follow. 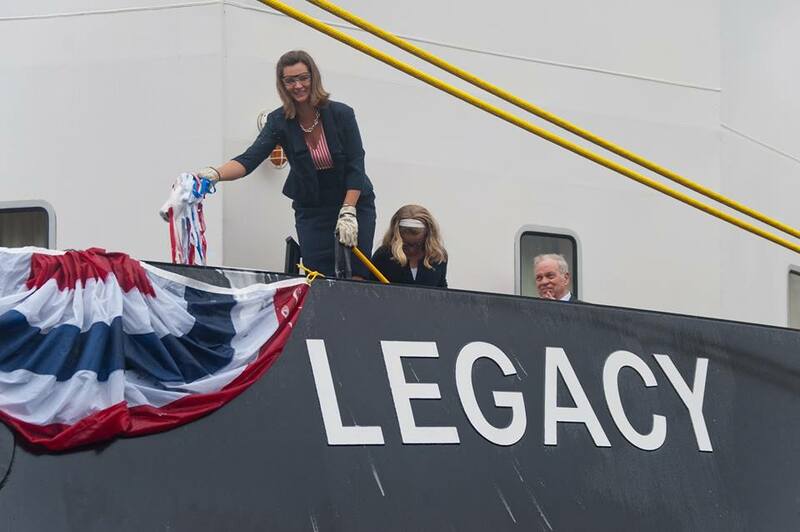 Photo: Christine Crowley, wife of Crowley Chairman, President and CEO Tom Crowley Jr., breaks champagne bottle against the hull of the Legacy. 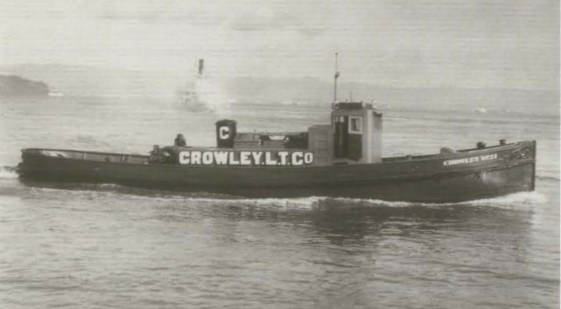 During WWII, Crowley’s dry dock and ship repair company went to work building vessels for the U.S. government. Crowley craftsmen in the yard built barges for the U.S. Navy in 1940, as well as self-propelled lighters in 1941 and 1942. A lighter is a type of vessel used to transfer equipment, goods and personnel between shore and moored ships. Shown: Crowley No. 21 was requisitioned by the U.S. Navy for use in the war.